Emergency workers in Taiwan continue the search for survivors in a dangerously tilted building, more than a day after it was damaged in an earthquake that shook the island's east coast and killed at least 10 people. Emergency workers in Taiwan continued their search for survivors in a dangerously tilted building Thursday, more than a day after it was damaged in an earthquake that shook the island's east coast and killed at least 10 people. The Yunmen Tsuiti building was one of several damaged by late Tuesday's magnitude 6.4 quake. At least four mid-sized buildings in worst-hit Hualien county leaned at sharp angles, their lowest floors crushed into mangled heaps of concrete, glass, iron and other debris. Firefighters climbed ladders hoisted against windows to reach people inside apartments. Residents at temporary shelters set up in Hualien City described the terror of the powerful quake and their immediate worry for loved ones. Chen Chu-rong, 52, said she wasn't home when the quake toppled the walls of her building, but her son was and he had to climb down from their second floor unit. "That fear is still there," she said. "I'm still afraid because things kept on falling down." Taiwan's National Fire Agency said Thursday that 10 people were killed, 272 were injured and seven remained unaccounted for. According to Chinese state broadcaster CCTV, at least three of the dead were tourists from the mainland. President Tsai Ing-wen reassured the public every effort would be made to rescue survivors. On her Facebook page, Tsai said she "ordered search and rescue workers not to give up on any opportunity to save people, while keeping their own safety in mind." 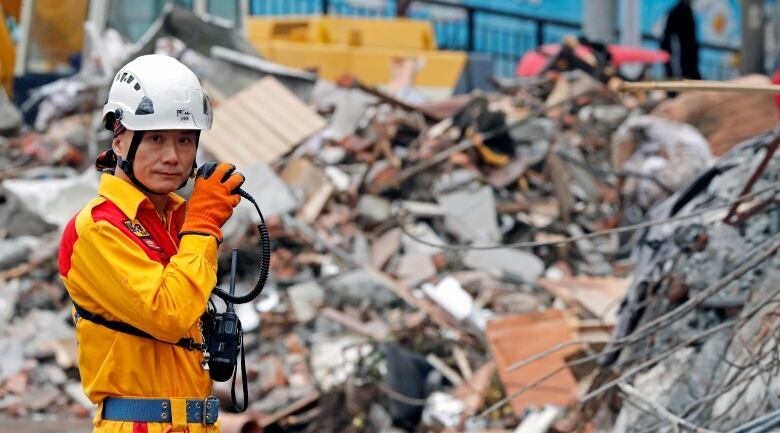 Due to the structure's slant, Taiwanese media said, rescuers struggled with dizziness and vomiting during search efforts. The body of a woman identified as a cleaning person was recovered from Yunmen Tsuiti, Chinese broadcaster CCTV reported Thursday. She had been working for one of the families that lived in the building. 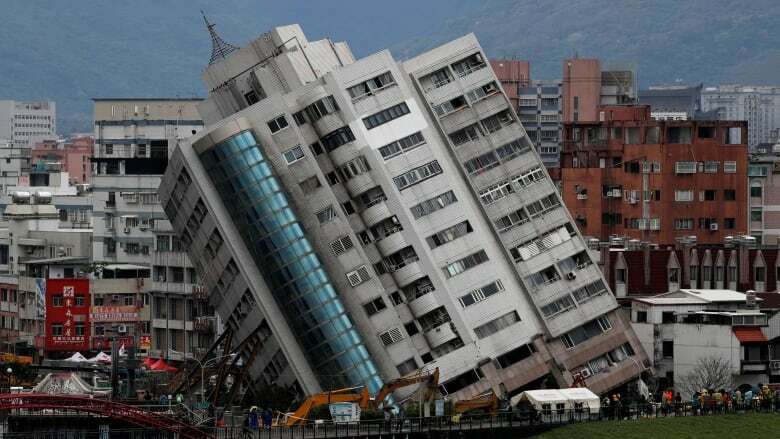 The shifting of the buildings was likely caused by soil liquefaction, when the ground loses its solidity under stress such as the shaking of an earthquake. The quake also buckled roads and disrupted electricity and water supplies to thousands of households. Japanese Chief Cabinet Secretary Yoshihide Suga said his country was dispatching a rescue team to help in the search effort. Taiwan has frequent earthquakes due to its position along the so-called Ring of Fire, the seismic faults encircling the Pacific Ocean where most of the world's earthquakes occur. A quake two years ago collapsed an apartment complex in southern Taiwan, killing 115 people. Five people involved in the construction of the complex were found guilty of negligence and given prison sentences.